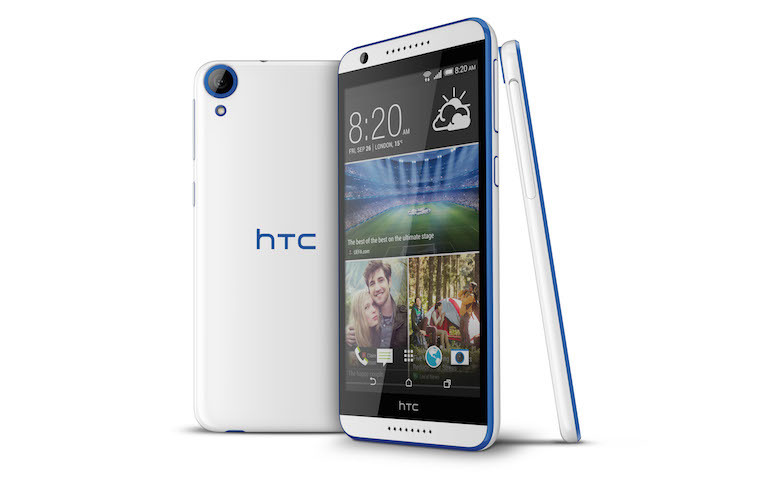 HTC have announced another big-screen device, this time with a new Octa-core Snapdragon CPU; the HTC Desire 820. HTC, a global leader in mobile innovation and design, has announced the HTC Desire 820, the successor to the popular HTC Desire 816. Powered by the Qualcomm® Snapdragon™ 615 processor, with integrated 4G LTE Cat 4 connectivity and 64-bit, multi-core CPU, this new addition to the HTC Desire family delivers content on-the-go at exceptional speeds and with stunning clarity on its 5.5” high definition screen. Sporting a premium imaging experience and powerful HTC BoomSound™, the colourful, stylish HTC Desire 820 sets a new benchmark for mid-range smartphones. Whatever your surroundings, the HTC Desire 820 is perfect for immersing yourself in your favourite content. Whether gaming, watching TV or creating momentous video and photo sequences with Zoe™ Highlights, you’ll lose yourself in the rich, clear sound offered by the front-facing stereo speakers and two powerful, dedicated amplifiers of HTC BoomSound™. The vivid, 5.5” high definition display also puts big-screen entertainment in your pocket for the ultimate no-compromise experience.